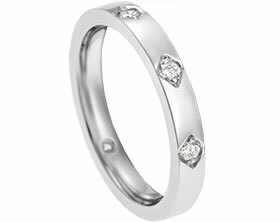 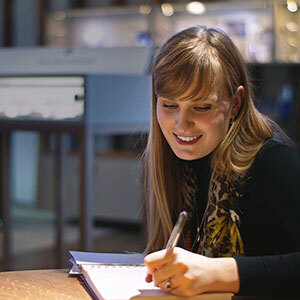 Rob wanted to commission a contemporary diamond eternity ring for Sarah that would complement her engagement and wedding ring set beautifully. 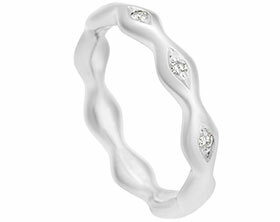 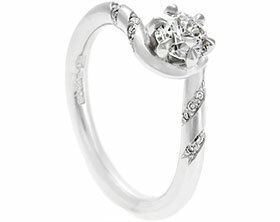 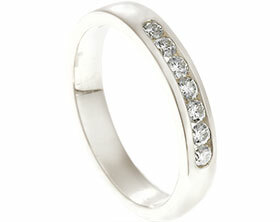 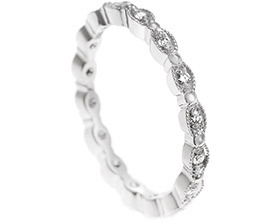 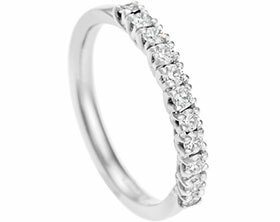 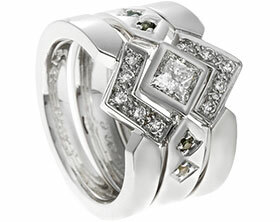 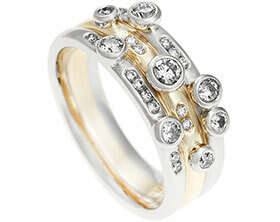 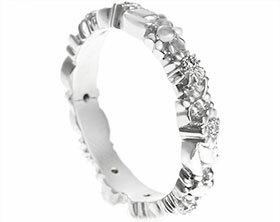 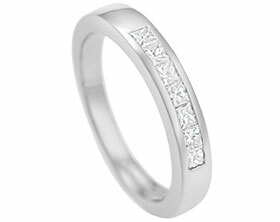 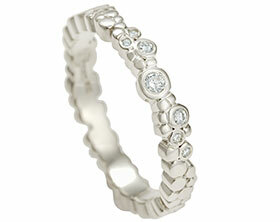 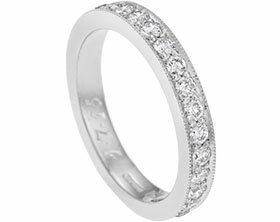 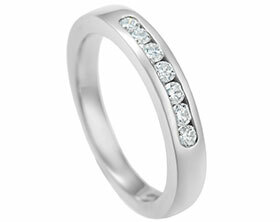 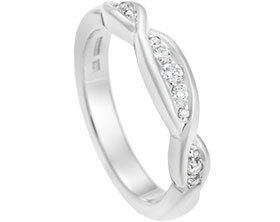 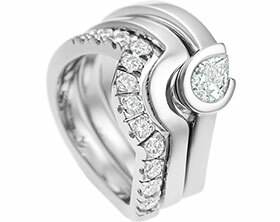 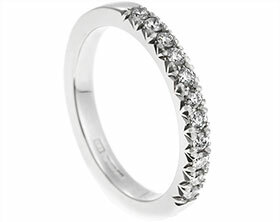 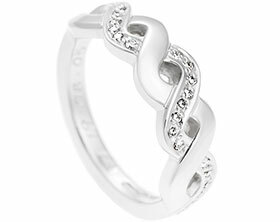 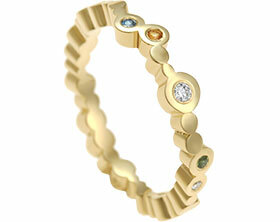 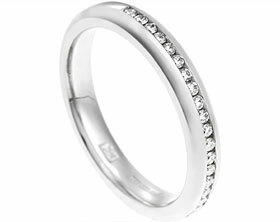 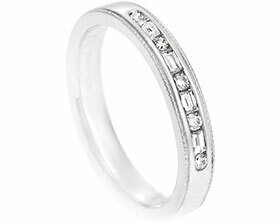 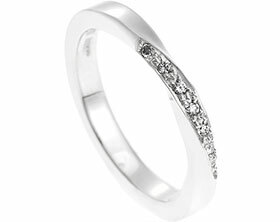 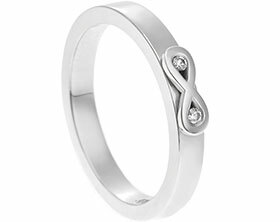 This handmade palladium eternity ring has been grain set with seven round brilliant cut diamonds which graduate in size. 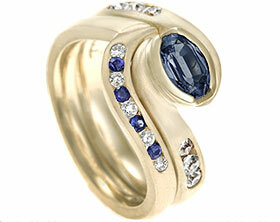 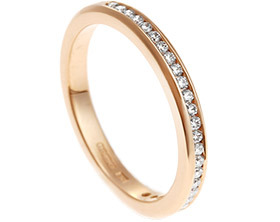 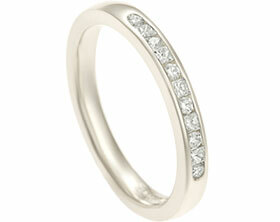 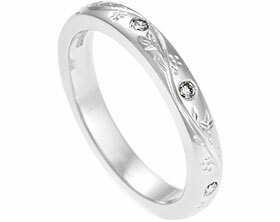 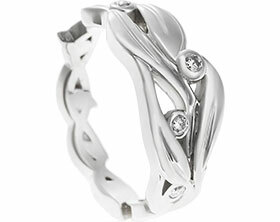 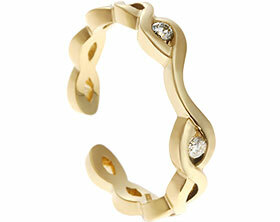 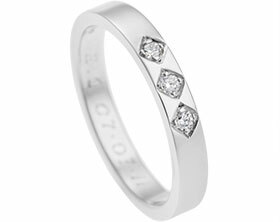 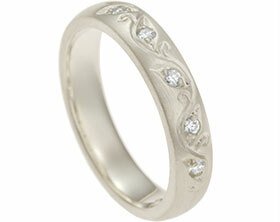 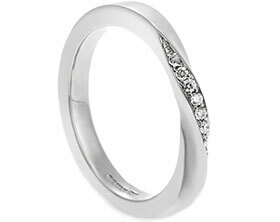 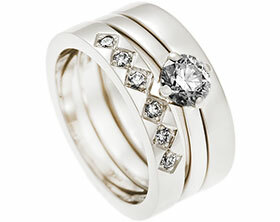 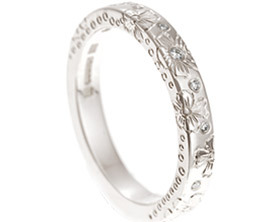 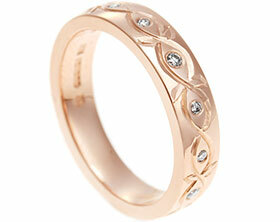 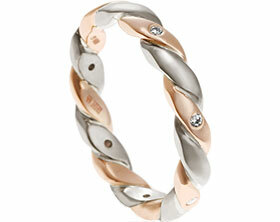 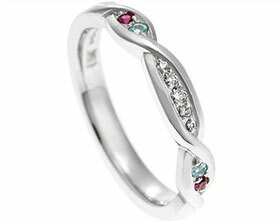 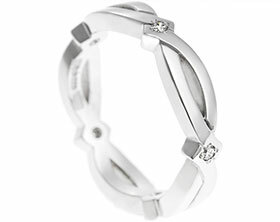 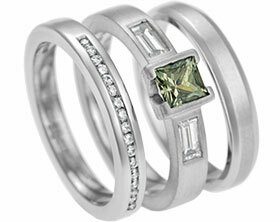 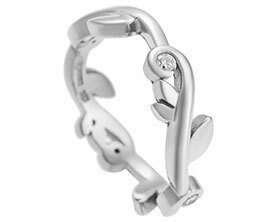 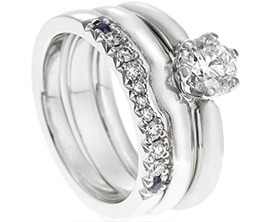 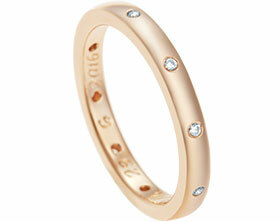 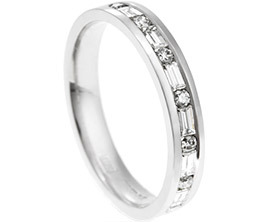 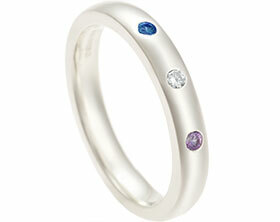 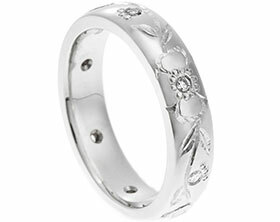 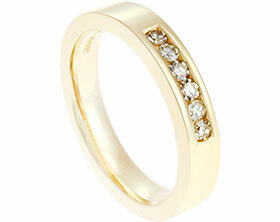 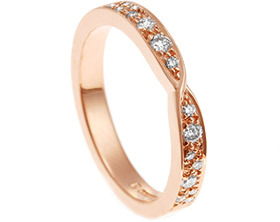 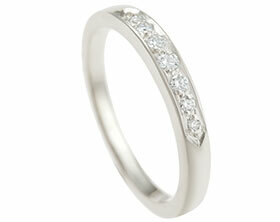 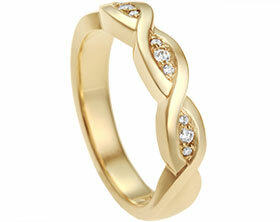 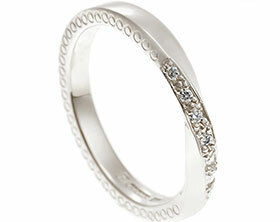 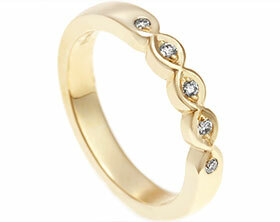 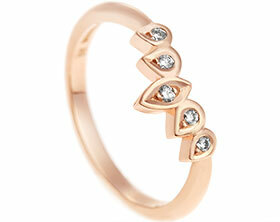 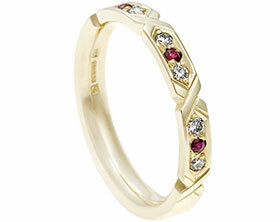 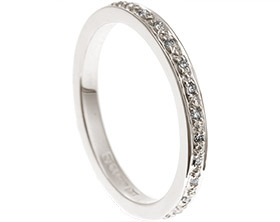 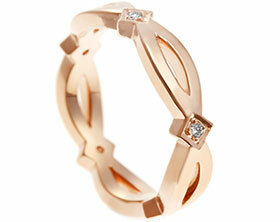 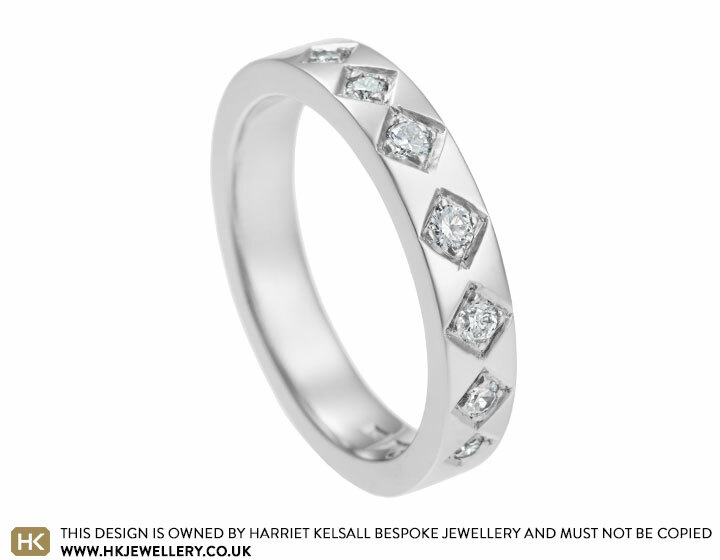 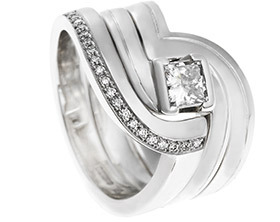 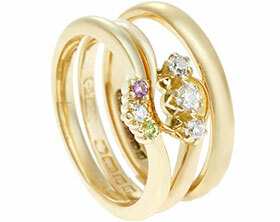 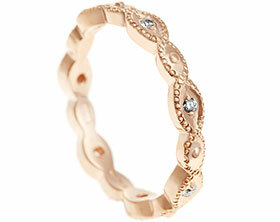 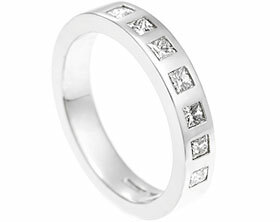 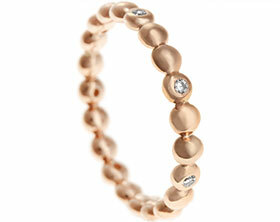 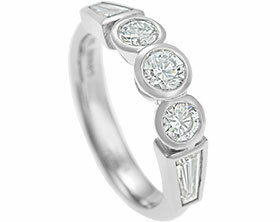 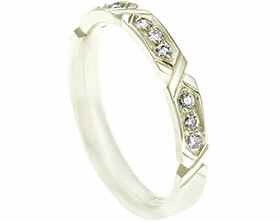 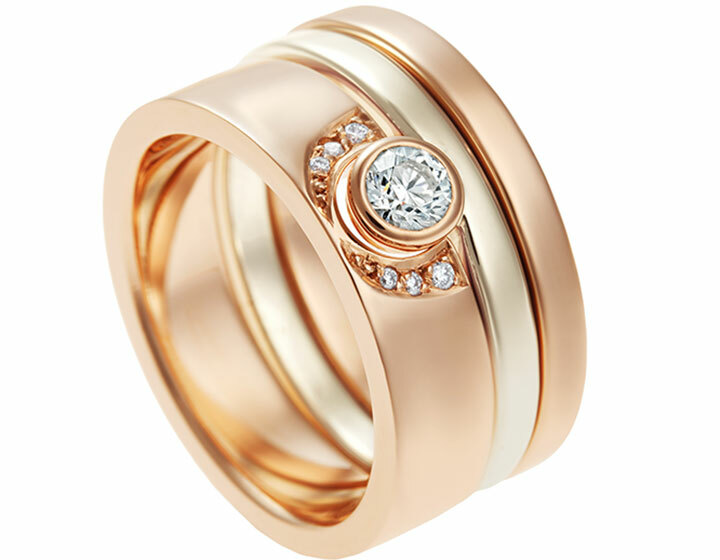 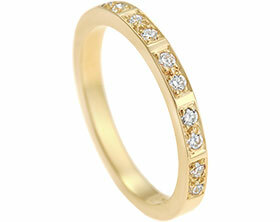 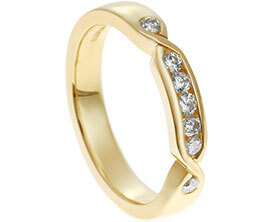 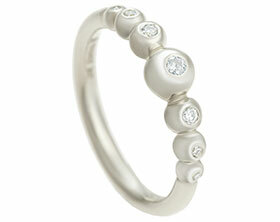 The delicate 3mm band has been given a polished finish to complement Sarah’s bridal set.